All Good Wishes for Easter. A novel, The Viridian Sail – Seurat’s Secret. 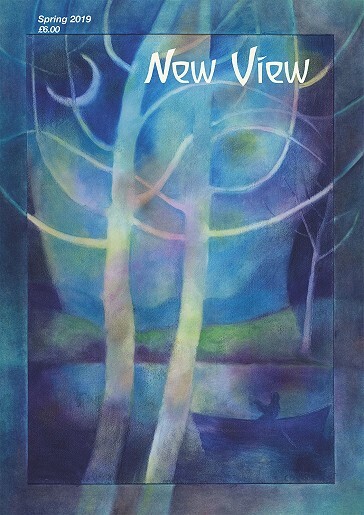 New View magazine was first published in 1996 and today it offers a fresh look at the world and ourselves. Four times a year, New View brings together a unique collection of articles on many aspects of modern life. Published quarterly at Christmas, Easter, Midsummer and Michaelmas, bringing news and contemporary insights based on Rudolf Steiner’s anthroposophy. Regular items include: World events, Community, Health, Education, Self-development, Arts, Science, Environment, Biodynamic-Agriculture, Book and Film Reviews and much more…. Overall, the New View website is still in development and we hope, in time, to provide a searchable archive of all the articles and authors that have appeared in the magazine these last 20 years. But for the time being we can offer downloads of digital versions of New View magazine to be purchased, both as subscriptions and single issues. You can see the content and the editorial of each previous issue of the magazine here. (We are gradually adding more back issues). You can view a picture gallery of the front covers of the magazine to view. We have also written a little about the background of New View and what inspires it. We think New View is a good and important read – why not buy a friend or relative a Gift Subscription? This is a good way to introduce new readers to the magazine and having more subscribers helps keep it going. The New View magazine initiative has very much needed donations to keep going these last few years, as we gradually build up the circulation to a point where we can break even financially. A number of people have given their support in this way, without which we would not have been able to continue. New View is a small initiative with a big heart which wishes to continue to communicate with the wider world about the spiritual life. If you are able to make a donation, great or small, this would be very much appreciated. You can do this on our subscriptions page. © New View Publications Ltd. All rights reserved.